The bois d'arc is native to the rich limestone clay soils of the Great Blackland Prairies, where annual rainfall averages 32-35 inches. 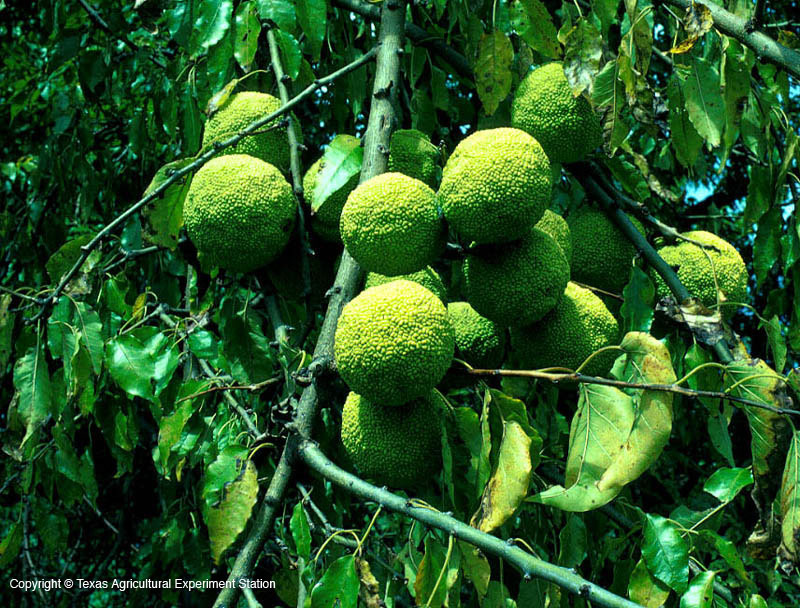 However, it is very adaptable to poorer soils and lower moisture levels. 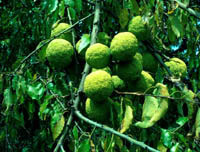 Its fruit is a large, green ball 4 to 6 inches in diameter with a rough suface, very milky inside. 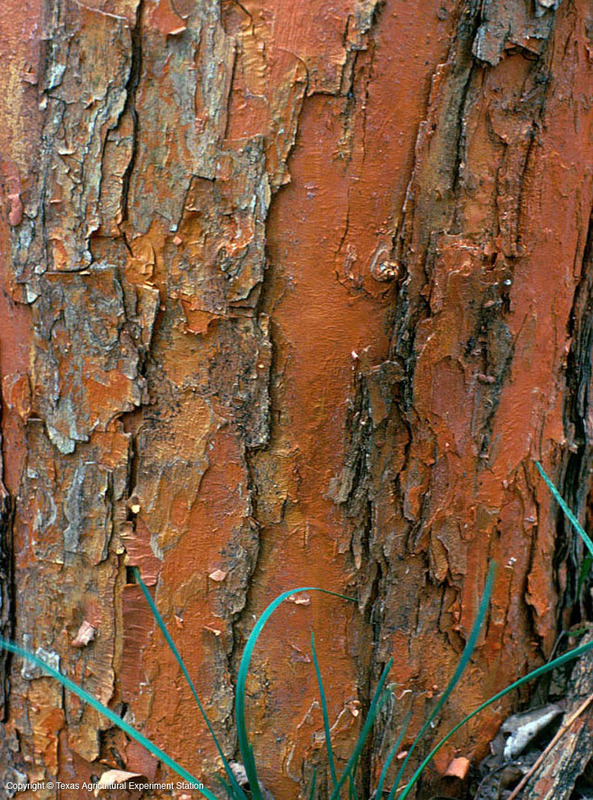 The wood is a characteristic orange, and it is extremely resistant to rot. In French 'bois d'arc' means 'wood of the bow,' and refers to the Osage Indians's use of the arched branches for bow wood. Width: 20 to 40 ft.